CLICK HERE FOR A FULLY UPDATED AND EXPANDED POST, WHICH REPLACES THIS OLDER POST. 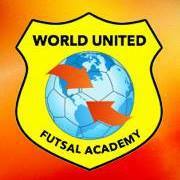 World United Futsal Academy – competitive futsal for boys and girls with @VavaMarques, USA Futsal Team Coach. Grew up and played competitive soccer, including futsal, in Brazil. World-class coaching for those that want to compete and take their futsal to the next level. Vava is also a great person. 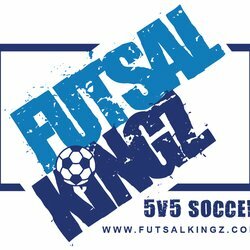 @Futsal Kingz – skills and FUN for all levels and age groups across various locations in the South Bay. Tim Newsome and his team are GREAT! I can’t recommend them enough. Sessions and camps year-round. Futsal San Jose – http://futsalsj.org/teams.shtml – December to February – sign up now! I estimate around 250 teams join this league with a clever ranking system every winter. Stanford-Palo Alto Futsal League -http://usyouthfutsal.com/stanfordpaloaltofutsal/index_E.html – January & February – sign up now! I estimate around 100 teams join this league every winter. You don’t need to be affiliated with any of the soccer clubs in our area to join these leagues. Some competitive club teams join and are often ‘coached’ by a parent volunteer. Simply create your own teams and sign up. Now sign up, go play and have a blast! Previous article	← Futsal season kicks off in a few weeks. You MUST join! It’s super fun and great for skills!